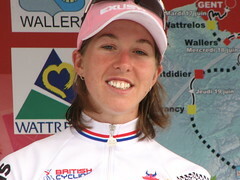 Nicole Cook has just won Gold in the women's road race at the Olympics. What a great rider she is! Well done Nicole. This will be the first of many golds that our cycling squad will be bringing home from the olympics in Bejing. From all of us cycling fans WELL DONE NICOLE!!!!!!!!!! !